Includes: Tunic with Collar & Sleeves, Pants. Colors: Black, Red & Royal Blue. Hat is not includedSize Information: Small Size (4-6) for ages 4-6 Yrs , Medium size (8-10) for ages 6-8 Yrs, Large size 12-14 for ages 8 and up. 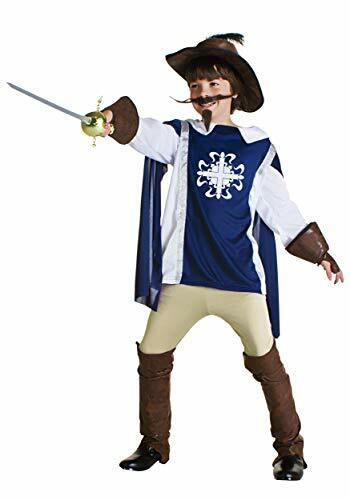 Leaping from the pages of Alexandre Dumas' legendary novel, your young D'Artagnan will cut a swashbuckling way though the crowd, wearing this magnificent tabard. 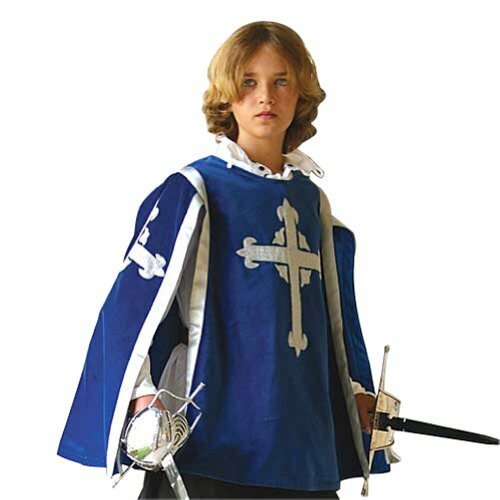 Designed for ages ages 6 through 12, this costume top is constructed from a rich blue cotton velvet and lined with matching rayon. The front and sleeves of this tunic are embroidered with the musketeer silver cross and fleur-de-lis. 100% cotton with polyester lining, Dry clean. One size. 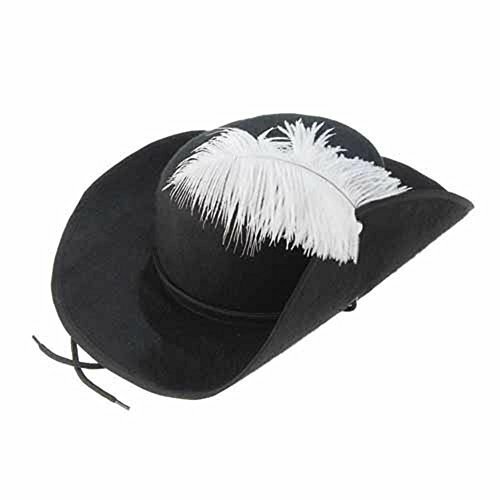 Costume DOES NOT INCLUDE the shirt, pants, boots, rapier or other items shown in the picture. Blue tabard only. Cavalier Sword! 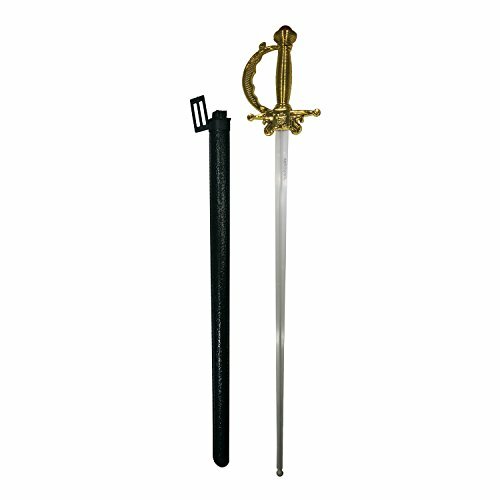 Cavalier Sword is 26.5" long plastic sword with a sheath with attachment for your belt. Saber blade is white. SUBSCRIBE to the OFFICIAL BBC YouTube channel: https://bit.ly/2IXqEIn LAUNCH BBC iPlayer to access Live TV and Box Sets: https://bbc.in/2J18jYJ Programme website: http://bbc.in/1VUfqEQ Tom Burke gives a tour of the costume department with costume designer Hayley Nebauer.